The goal of the YWPA award is to encourage women students to enter careers in public affairs, public policy, and community organizations. The award recognizes the commitment of women students, aged 16 to 19 years, to serve their communities and to advance the status of women worldwide. This award is granted annually by the Zonta Club of Hamilton 1 to a student attending high school, college or university. Applications available at the high school guidance departments or online at Zonta International YWPA. The local club award winner then becomes a candidate for the District award. The District Awards Committee submits the chosen application to the District Governor by April 1st. The District winner receives $1,500 U.S. and is automatically entered to compete for one of ten Zonta International awards of $4,000 U.S. The Jane M. Klausman Scholarships work to support women who demonstrate outstanding potential in business-related fields, and are completing their second or third year of a business-related undergraduate degree programme. Applications are available at Student Financial Aid and Scholarships, Gilmore Hall, Room 120, McMaster University, Hamilton or online at Zonta International J Klausman award. The local club award winner becomes a candidate for the District 4 award valued at $2,000 US. 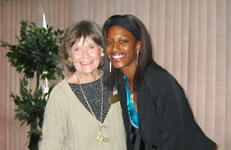 The District award winner then becomes a candidate for the Zonta International Jane M. Klausman Awards. Six international scholarships are granted annually valued at $8,000 U.S. each. Established in 1997 by the Zonta Club of Hamilton 1 in support of the McMaster Student Opportunity Fund initiative which provides financial support in perpetuity in the name of the Zonta Club of Hamilton l. We believe that all students, particularly women in non-traditional fields, should have the opportunity to pursue their educational goals. These bursaries are granted annually to students who demonstrate financial need and are enrolled in the Faculty of Engineering, or in Business or are enrolled in a course in Indigenous Studies. Value of awards: Bursaries are granted by the University Bursary Selection Committee on the basis of demonstrated financial need. They are intended to supplement resources when the student’s own financial contribution, parental assistance and government aid leave the student with insufficient funds to complete the academic year. 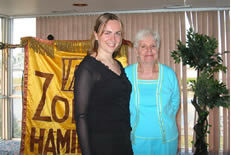 The Zonta Club of Hamilton 1 Bursaries trust fund grants funding to approximately five student recipients annually. Application deadline: November 1st and February 14th. Established in 2006 by the members of the Zonta Club of Hamilton 1 to acknowledge the bequest from Muriel Stewart, her life and career in business, and honouring the lives of fellow Zontians, their careers, and their support to the Zonta Club of Hamilton 1 and its objectives. To be granted annually to a female student enrolled in the MBA program, who demonstrates financial need. The value of the bursary is approximately $1,000. Established in 2016 by members of the Zonta Club of Hamilton 1 in memory and recognition of dedicated member and supporter of our club, Fran Colter who was a pioneer in the field of physiotherapy at Chedoke Hospital, Hamilton. This endowed bursary at the McMaster University School of Rehabilitation Science will be granted to female students in the Physiotherapy program who demonstrate financial need. The value of the bursary is estimated to be $1,900 annually. Established in 1998 by the Zonta Club of Hamilton 1 in support of Mohawk College’s Ontario Student Opportunity Trust Fund which provides financial support in perpetuity. These awards are granted to students demonstrating financial need, with a minimum 80% average. Preference is given to students showing active involvement in community and consideration to others. A letter of application is mandatory. December 1st for January enrollment.